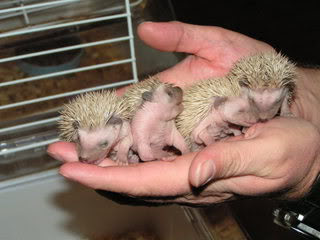 on saturday morning when I woke up, I was suprised to discover that Coco my hedgehog had given birth to 3 baby hoglets!! 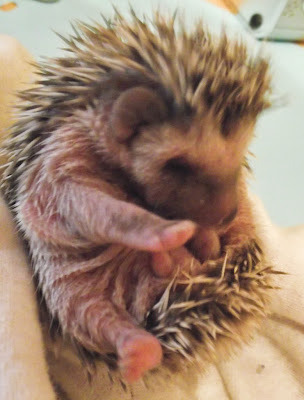 no no not really, they have to live in guinea pig cages, they have a wheel to run round on & are litter trained. also they just eat cat food.